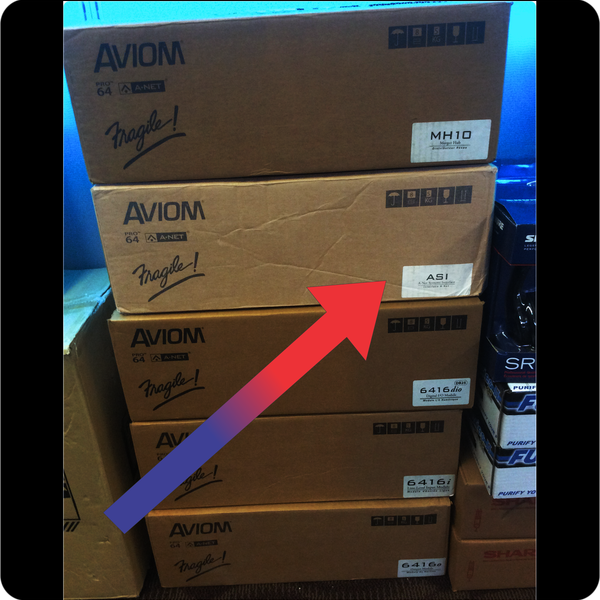 Note: We have several Aviom Pro-64 Series items listed. You may place a bid or offer on as many as you like. Each of its four Pro16 outputs can be assigned to send one of four sequential 16-channel banks of Pro64 Slots to a Personal Mixer. Or, to make the ASI even more powerful and flexible, use the Pro64 Network Manager software to matrix the four ASI outputs and send any Pro64 Slot to any ASI output and channel. The Pro64 network's matrix capability turns an ASI into a four-zone monitor mix system interface. 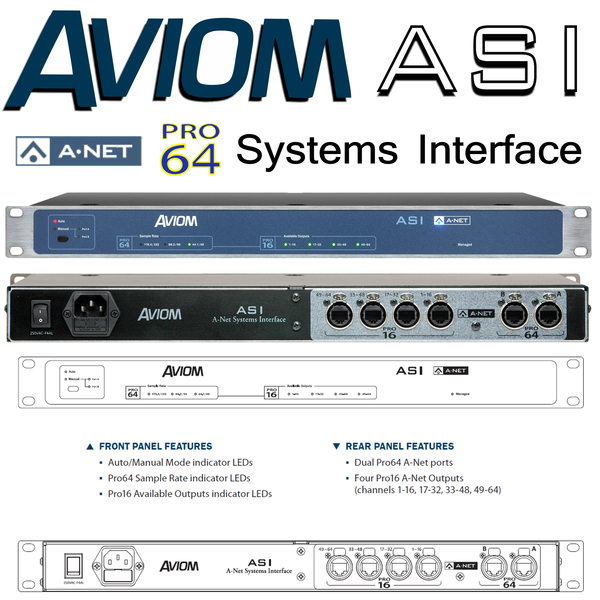 The ASI A-Net® Systems Interface provides a digital link between Pro64® Series networking products and Pro16® Series output devices, such as the A-16II and A-16R Personal Mixers and the AN-16/o and AV-P2 Output Modules. The ASI features two bidirectional Pro64 network ports and four Pro16 A-Net outputs, all using heavy-duty locking Neutrik® EtherCon® connectors. Setup of the ASI is fully plug-and-play. The module divides the incoming Pro64 A-Net network stream into 16-channel blocks which are transmitted out the corresponding Pro16 ports, reformatted for compatibility with Pro16 Series devices. The number of available channels and valid Pro16 ports is determined by the sample rate of the Pro64 network, with 64 channels at 44.1/48kHz±, 32 at 96kHz±, and 16 at 192kHz±.